Originally, upkeep for the servers came from myself(Mage) or a couple other people, however, some in our community have offered to help with the growing upkeep costs so I decided to open this page. Funds will be used to maintain the server, and allow us the flexibility to add more server slots/upgrade server hardware as needed. If funding and interest permits, we'd like to sponsor our server on voting sites to secure a spot on the front page as well. 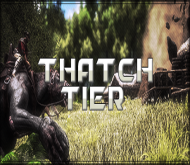 We aim to have the best environment for new & veteran players alike on our servers. Everything from our rates to our rule sets are designed to maximize player fun while minimizing the grind and frustration of the game. All of our servers have full logs and offers rules against player grief and harassment, as well as admin and player controlled events. By supporting us you are helping us to pay for our hosting fees and letting us continue to give you the best gaming experience that we can. Thank you for your support!